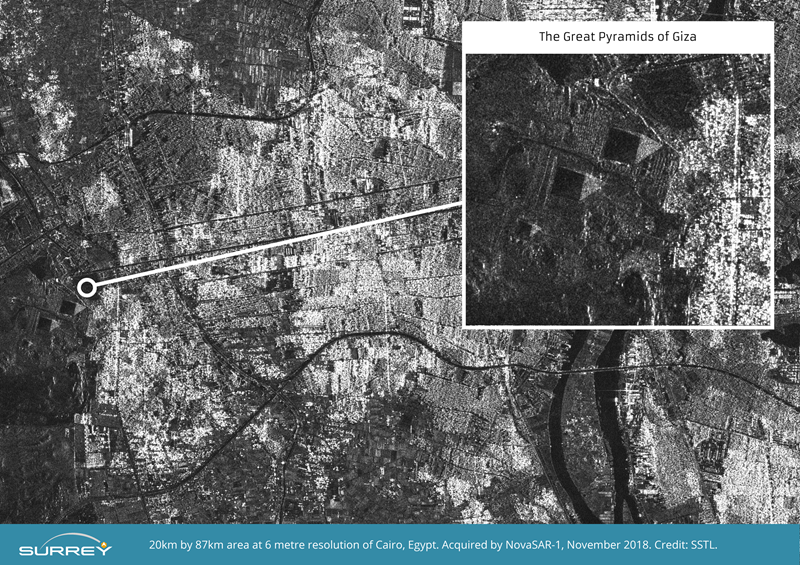 The NovaSAR-1 satellite, the first synthetic aperture radar (SAR) satellite made entirely in the UK, which was launched in September, has sent its first pictures of the Earth’s surface back from its orbit, providing high resolution images of Sydney Harbour and Cairo, with the Opera House and Harbour Bridge clearly visible in the former and the River Nile and Pyramids in the latter. These images demonstrate that the technology on board the satellite will be able to provide images of features such as oil spills, shipping, and the state of forestry, according to the satellite operator, Surrey Satellite Technologies (SSTL) and its co-funders, the Department of Business, Energy and Industrial Strategy and the UK Space Agency. SAR technology can see through cloud cover and provide images in sections of the earth that are in daylight or in night-time. 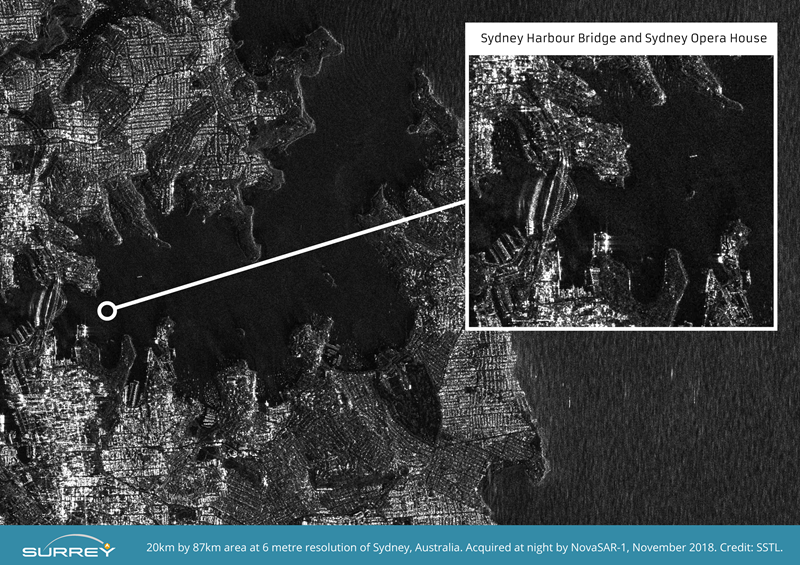 The images of Sydney are particularly significant, as they show small boats moored in the natural harbour and therefore demonstrate that SAR can be used to detect vessels of different sizes and types, a property that will be useful for one the satellites roles of monitoring suspicious shipping activity. The images were acquired using the satellite’s “stripmap” mode at 6m resolution and are 20km wide by 87km long. Science and education minister Sam Gyimah commented: “This ‘eye in the sky’ can capture an image a dozen times wider than the Strait of Dover and the data it provides can help crack problems from illegal shipping to alerting us to damaging pollution that needs to be countered.